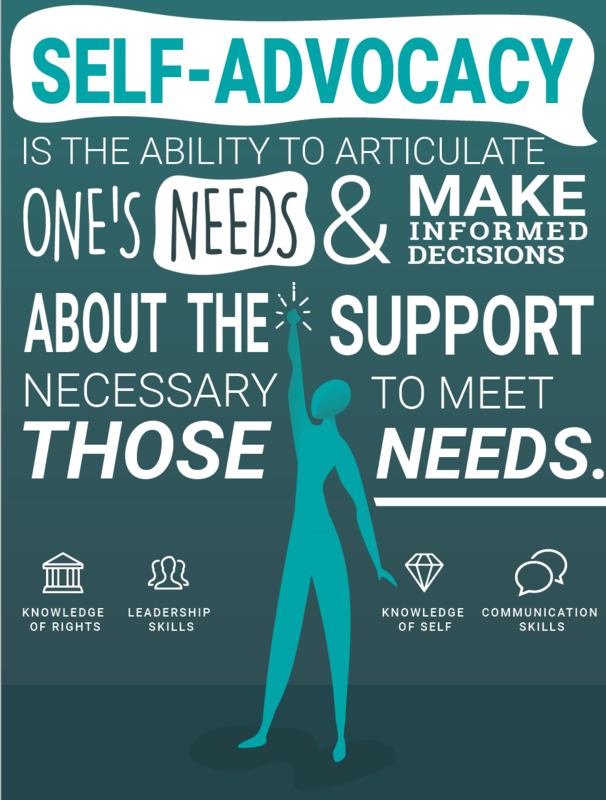 Self-advocacy is the ability to articulate one's needs and make informed decisions about the support necessary to meet those needs. It requires four important elements: knowledge of self, knowledge of rights, communication skills, and leadership skills. For individuals with one or more disabilities, including deaf individuals, an increase in self-advocacy skills contributes to an increased quality of life, sense of agency, and overall well-being. Self-advocacy is a lifelong endeavor that can never be learned too early or too late in life. Practicing self-advocacy is a critical element of the self-advocacy developmental process and individuals who do it are better prepared to self-advocate in the future.